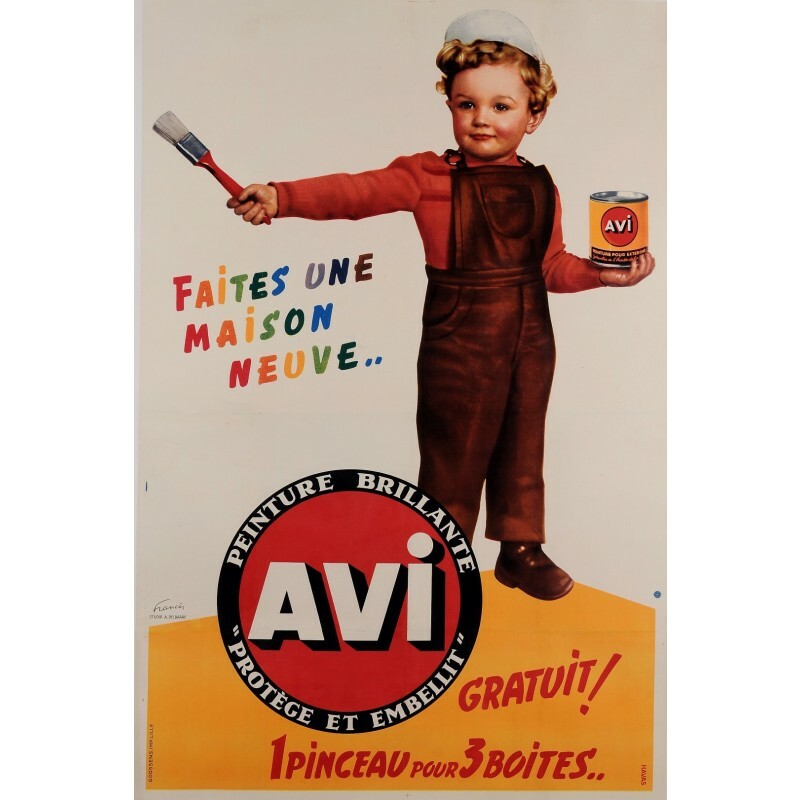 A charming poster by Francis, that was probably realized in the 1950's to advertise Exterior Paints by "Avi". 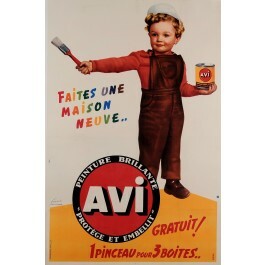 Depicted here, is a little boy with a painter's outfit, that holds a can of "Avi" in one hand, and a brush in the other. The usage of children for advertising purposes was quite common at that time. The inscription says: "Make a new home".